Do you have a weakness for vintage and retro stuff? By that we’re not only referring to fashion and clothing or vintage cars, but in general vintage and retro design. The terms vintage and retro stand for a certain type of design from decades ago. However, these terms are not only used for oldtimer cars or in the fashion industry anymore, but can be applied to anything that is appearing in an exquisite, time-honored or aged kind of way. 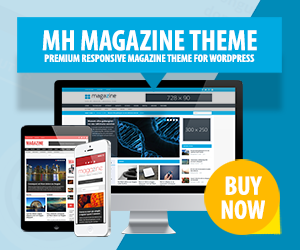 And when it comes to WordPress themes, which are inspired by this kind of design, they are also referred to as vintage and retro WordPress themes. By using vintage and retro WordPress themes you can give your online presence a unique look to match your content perfectly. For example if you are running an online shop for vintage fashion, retro items or anything alike, these kind of WordPress templates can be ideal for your purposes. On the other hand, in case you just love the vintage ages or simply retro stuff from fashion, to retro looks, interior design or related, then you can share your passion with other enthusiasts by creating neat blogs, personal, portfolio or photography sites to display your content in an appealing way. Vintage and retro WordPress themes are quite rare, but yet there are enough out there to have a pretty good selection to choose from. To give you a head start, we have collected some of the most popular and best WordPress themes for vintage and retro websites of any type. These WordPress themes have several useful and great features included which can help you setting up retro online stores, personal vintage blogs, beautiful portfolio websites or whatever else you might have in mind.